This early purple, sweet-twangy gem is what a plum should be. Too small and juicy for grocery stores, these plums fell out of favor at your local grocer, and are now the gold standard at farmers markets throughout Colorado. Santa Rosa ripens in late August. The first plum of the season for us, ripening in mid-August. 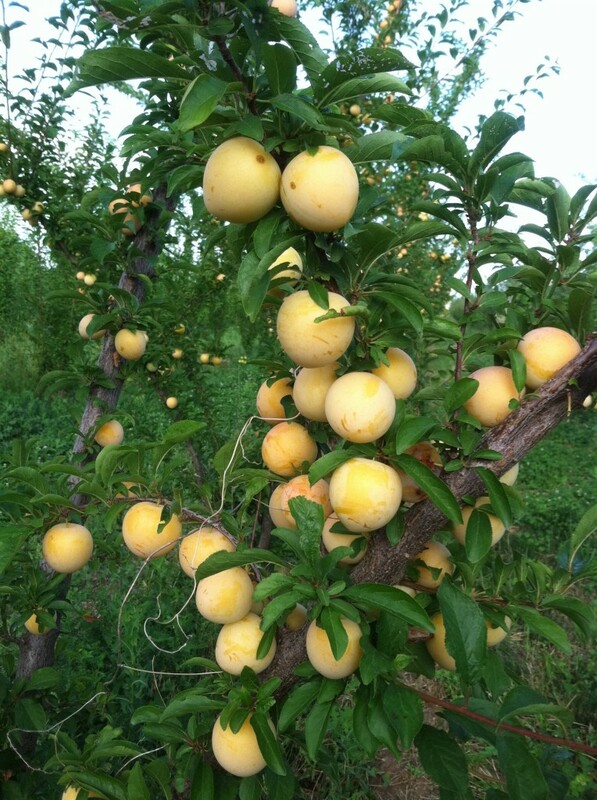 Shiro is a yellow skinned, yellow fleshed sweet plum. It’s size is often smaller than the later plums. The flavor is sweet with very little tanginess. A late season, purple skinned and deep yellow fleshed plum that many people know as a prune or prune plum. These plums are very hardy and will often have a crop when other plums succumb to frost. They are sweet when eaten out of hand and also are wonderful canned. Their purple color transfers to the juice and can be a winter favorite. A late season, purple skinned and deep yellow fleshed plum that many people know as a prune or prune plum. 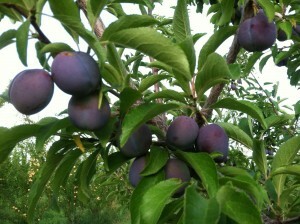 These plums are very hardy and will often have a crop when other plums succumb to frost. They are sweet when eaten out of hand and also are wonderful canned. When canned, their purple color transfers to the juice and they can be a winter favorite. Stanleys are very similar to Italian plums, but are picked slightly later. They and Italians are used to cross pollinate each other.